Parents and parents-to-be research different parenting philosophies, such as attachment parenting, consensual living, continuum parenting, radical/whole-life unschooling, and equally shared parenting. To learn more about parenting philosophies, take a look at the resources below. If you have specific questions about this category or know of additional resources that should be on our list, please contact us. The 7 Benefits of Attachment Parenting, Ask Dr. Sears.com: This list highlights the emotional and intellectual benefits to attachment parenting both for the child and the parent. The list is also summarized at the end of the article with links to pages on the body chemistry of AP, how discipline is easier with AP, and how AP could possibly reduce the risk of SIDS. Attachment Parenting (video), Parents TV: 4 ½ minute video interviewing Dr. Erika Schwartz about the philosophy of Attachment Parenting. This short segment gives a brief overview in an easy to understand format and details the “7 Baby Bs” and the “8 Principles of Attachment Parenting. Co-Sleeping with Baby; Attachment Parenting for Dads, Derek Markham: A very down-to-earth, practical guide for dads who want to facilitate the stronger bond that can be achieved through practicing attachment parenting methods like co-sleeping. Why attachment parenting needs feminism, by blue milk. The Attachment Connection: Parenting a Secure & Confident Child Using the Science of Attachment Theory, Ruth P. Newton, Ph.D.
Consensual Living – and the Life Changing Effect of Parenthood, Sarah Luczaj: Talks about the basic principles of consensual living and her own personal experience with this philosophy. She asserts that the main overarching theme is a letting go of the desire to control, of needing to win. It’s your call, kid, Adriana Barton: Although the title of this article may be negatively coercive, it very neatly sums up the Consensual Living model, gives background to the movement, gives examples, and a list of the basic principles. This is a nice overview of the non-hierarchical style of Consensual Living. Child Led Living = Child Centeredness?, Annie Paxye: The author discusses some common sense guidelines for putting Consensual Living into practice and avoiding pitfalls that may occur if the principles and reasoning behind this methodology are not fully understood. Consensual Living Booklist: PDF of book resources for Consensual Living/non-violent/peaceful parenting psychology. Consensual Living is a great resources and offers many thoughtful articles as well as a suggested reading list for parents practicing attachment and consensual parenting philosophies. Consensual Living, by Mommy Babble: This is a great article which introduces the concept of consensual parenting and puts it into a different perspective for those who may be skeptical or resistant to the ideals it embraces. The Possible and Impossible in Parenting, by the parenting pit: This is a truly enlightening article acknowledging the troubles and turmoil we as parents face in daily life, and offers alternative ways to handle these situations, encouraging parents to become learners instead of controllers. The Liedloff Continuum Network: The Internet resource for readers of Jean Liedloff’s book, The Continuum Concept: This site introduces readers to The Continuum Concept by Anthropologist Jean Liedloff. The book is based on her studies of the Yequana people, and cites humans’ evolutionary development as the foundation for her theory. She believes that the conditions for the best overall mind/body/spirit health are met if all our basic needs are fulfilled from birth. The Continuum Concept, a review by Kristen Burgess: This is a great in-depth, comprehensive review of the book that discusses possible pros and cons of Jean Liedloff’s theories. Radical Unschooling: Informational website authored by Sandra Dodd: If you are even toying with the idea of unschooling, you should start at Sandra Dodd’s site. Her resources make it clear that no matter what age, we are learning all the time through everyday problem solving, laughter, and play; and anything can be an opportunity for learning and self-discovery. 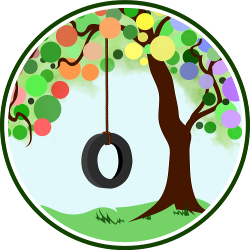 Joyfully Rejoycing: Informational website authored by Joyce Fetterol: A compendium of the author’s responses to the question, “what is unschooling”. She proceeds with a very thoughtful discussion of how unschooling philosophy is about joyful living and require the dismissal of goal oriented or destination oriented parenting. Included on her site are answers to many potential unschooling issues. Radical Unschoolers Network: Great forum for families interested in or practicing unschooling. Check out the myriad of different groups and blogs connected to the forum. When Mom and Dad Share it All, Lisa Belkin: In-depth article in the New York Times Magazine that examines the lives of several couples and how they divide their parenting duties, and manage their personal and professional schedules. Halving It All: How Equally Shared Parenting Works, Francine M. Deutsch: A detailed analysis of the ups and downs of sharing all the responsibilities of family and work. This book follows couples from different backgrounds and economic levels who follow the shared parenting model and also includes couples who don’t parent equally. She discusses the solutions these parents have come up with to manage/balance their family and work life.